Adjacent to the historic Chapel by the Sea, Captiva’s Historic Cemetery is trimmed with white lattice fencing. 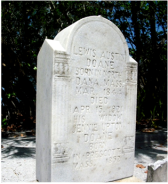 Within its perimeters, you will find grave markers and headstones of many early settlers who came to Captiva in the late 19th century to homestead and farm. William Herbert Binder (1850-1932), born in Austria, was the first Captiva resident, homesteading on the island in 1888. Tale has it, Binder had been shipwrecked and floated to the safety of Captiva on a piece of wood. When he was rescued he made a promise to himself to return to Captiva, which he did in 1888. In 1895, a four year old named Ann Brainerd, along with her family, moved from Canada to Buck Key, the small island just east of Captiva. Six years later, the youngster told Mr. William Binder how this one part of the island was the prettiest place she’d ever seen. Binder was charmed and agreed to sell her that plot, less than an acre, for the price of a small gold coin she’d received from her grandparents prior to her family leaving Canada. She did indeed purchase this land from Binder but tragically, shortly after their transaction was made, Ann stepped on a rusty nail and subsequently died as a result of tetanus. Her family laid Ann to rest on “her land”, which today is known as Captiva’s Historic Cemetery. Visitors continue to place shells on her lamb-topped tombstone to honor the memory of this special girl. Ann’s family surrounds her, and Mr. Binder is close by. Herbert and Hattie Brainerd lost an additional 10 infants, six of which are buried close to sister Ann. In 1912 the Brainerd’s adopted son Gordon was killed in a fight on Buck Key. His monument reads, “Gone to a better home”. Herbert Brainerd died in 1914. His stone bears the Masonic emblem. The grave of Hattie E. Gore, Captiva’s postmistress from 1903 to 1940, lay equidistant between that of her first husband, Herbert Brainerd, and her second husband, Alvin M. Gore. With no known living family, when William Binder died in 1932, Hattie Gore arranged to have him buried in the Brainerd family plot. Our historic cemetery also marks the graves of confederate soldiers. George Washington Carter, a civil war veteran from Trader’s Hill, Georgia, was homesteader of the Captiva Island property that is now known as South Seas Resort. The Carter family, with their 8 children, arrived in 1900 and primarily fished for a living. They also planted and harvested sugar cane, citrus, and avocados. The hurricane of 1923 convinced the Carters to sell their property to Mr. Chadwick, the resort’s first developer. Another confederate soldier is Henry P. Knowles. Records show Henry Knowles had been present at the South’s surrender to Union forces and he had applied for a soldier’s pension in Lee County in 1902. 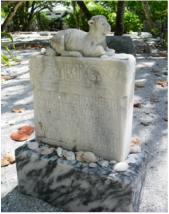 While Mr. Knowles is buried in nearby Fort Myers, his wife Julia F. Knowles (1839-1901) is buried in Captiva’s Historic Cemetery. Her headstone reads, “She lived to bless others”. ​Here, also, is the headstone for Lewis Austin Doane and his wife Jennie Upton Doane. Jennie Upton is a descendent of the pilgrim Mr. John Upton. Along the cemetery’s west perimeter, a brass sundial marks the remains of Anita Belle Croft, an avid butterfly collector. Allison Hagerup was a dedicated administrator for the Captiva Erosion Prevention District for 20 years, championing the need for refurbishing our coastline. Friends and family replenish Allison’s marker with shells of remembrance. The public beach access at the end of Captiva Drive has been named for this remarkable public servant. The cemetery’s largest marker (which is no longer allowed) is that of Lloyd Wright, Captiva resident and long-time owner of ‘Tween Waters Inn. 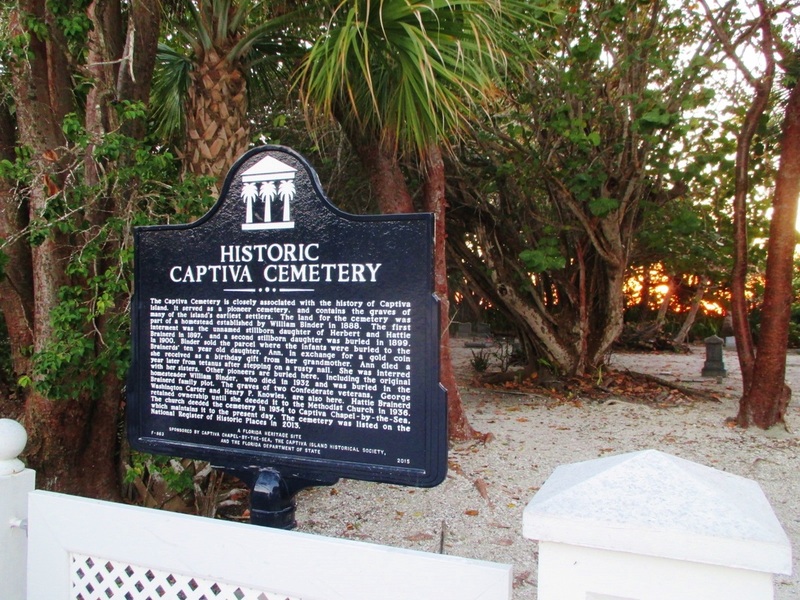 Captiva’s Historic Cemetery is approximately 2 acres in size. Today, all the cemetery markers are plotted to two feet square and only cremains may be interred. To purchase a marker, bury cremains, or to be named on the memorial stone, one must have a Captiva or Sanibel connection. Words etched on the cemetery memorial wall read, “In Memory Of Those Who Have Gone Before”. 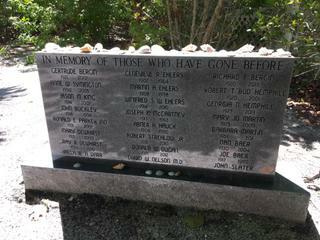 Names are added once a year, in the fall prior to the re-opening of the Chapel by the Sea season in November. In 1954, the Chapel by the Sea was purchased from the Methodist Church and thus, the historic cemetery was deeded to the Chapel, who agreed to diligently maintain it. The first chair of the Chapel by the Sea Cemetery Committee was Beulah Brainerd Wiles, whose family originally donated the land. ﻿﻿﻿The cemetery continues to be preserved today, thanks in part by the donations placed in the little box located just within the front gate, by visitors just like you. 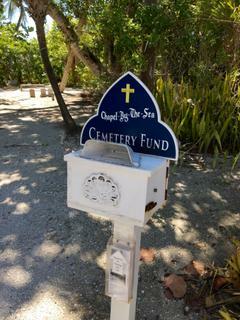 Thank you for your interest in helping to maintain Captiva’s Historic Cemetery.